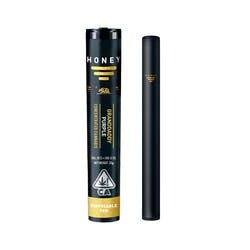 HONEY® is a licensed California adult use and medicinal cannabis company marketing the smoothest, best tasting, pure and authentic cannabis oil. 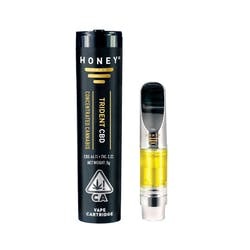 In 2013, HONEY® revolutionized the cannabis industry as the first global producer marketing full spectrum, distilled cannabis oil in vape cartridges. Products include fresh mapped™, ensemble infused, THC and CBD oil in vape cartridges, applicators, and caps available from legal dispensaries and delivery services throughout the Golden State. Expansion to the brand, distribution infrastructure, and manufacturing assets continues in California, with plans to enter other legal U.S. markets. 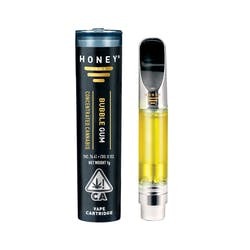 With elegant design, sleek packaging, over a decade of production and a dedicated following, HONEY® is well recognized and demanded by diverse patients and adult use consumers. We look forward to bringing HONEY® to the masses. Tried the HV bubble gum disposable. I loved the flavor. It is a bit softer than the half gram but tasted great. It doesn't last as long but super convenient for keeping in the gym bag or in computer bag. I want to try jack herer as I had one puff from a buddy's cartridge but I can't find it in my store. So much love for what you do, HoneyVape! 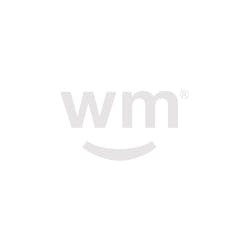 Consistently great products and customer service. Thanks for delivering a premium product time and again. I'll continue to pay a premium for your products as long as you continue to deliver a great experience. Much love!